At least 20 plainclothes officers picked up Shahidul Alam, 63, at his Dhaka home late on Sunday, hours after his comments were broadcast by the Qatar-based TV station. Bangladesh police said Monday they arrested a prize-winning photographer for "provocative comments" in an Al Jazeera interview about protests by teenagers that have convulsed the country for over a week. At the weekend, a heavy-handed response to the protests over road safety left more than 100 injured as police fired tear gas and rubber bullets, and mobs attacked demonstrators, photographers and even the US ambassador's car. 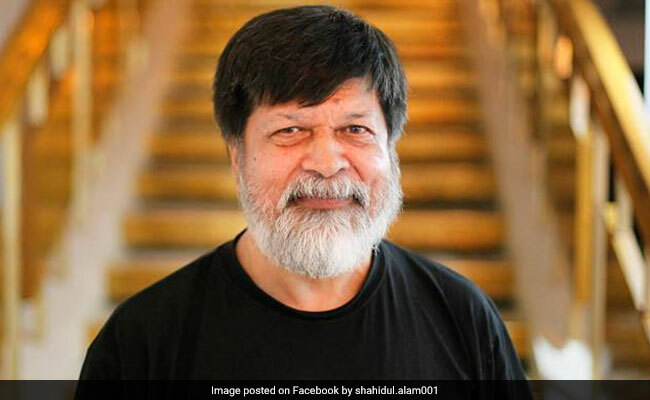 At least 20 plainclothes officers picked up Shahidul Alam, 63, at his Dhaka home late on Sunday, hours after his comments were broadcast by the Qatar-based TV station, his colleague Abir Abdullah told AFP. "He has been brought to our office early this morning (Monday). We are interrogating him for giving false information to different media and for provocative comments," police official Moshiur Rahman told AFP. "And he could not give proper answers. He admitted that these are his personal opinion," he said, adding police would take legal actions against him. Alam is the founder and managing director of the Drik Gallery and the creator of the Patshala South Asian Media Academy, a photography school in the capital Dhaka that has spawned hundreds of photographers. In a career spanning more than four decades, Alam's photos were published in almost every major Western media outlet, including the New York Times, Time magazine and National Geographic. In recent days, Alam shot images of the demonstrations by tens of thousands of teenagers in Dhaka and beyond, and discussed the protests on Facebook Live. The protests in Dhaka and beyond began after a speeding bus killed two teenagers on July 29, with demonstrators pressing for the government to get to grips with Bangladesh's chaotic and lethal roads. On Saturday, the protests took a violent turn in Dhaka, with more than 100 people hurt as police fired rubber bullets at demonstrators, according to students and doctors who treated the injured. More violence raged on Sunday with police firing tear gas into a large crowd marching toward an office of the ruling Awami League party, an AFP correspondent said. Dozens of protesters were attacked by people alleged to be ruling party activists, some armed with machetes, leaving scores injured including half a dozen photographers. The authorities have shut down mobile internet services across swathes of the country and Prime Minister Sheikh Hasina urged students on Sunday to go home, but to no avail. The United Nations said it was "deeply concerned about the reports of violence" and that concerns about road safety were "legitimate". Police have also detained an actress for spreading rumours after she allegedly in a Facebook post that two protesters were killed and the eye of another was gouged out.